Hello and welcome to Our Crafty Mom! It is so hard to believe it is already the end of the month! That means it’s time for our Thrift Store Decor Upcycle Challenge. If you’ve visited here before you know I am moving my daughter into her first apartment for her Senior year of College this weekend. The apartment does not have a single piece of furniture, so I have been scrambling to ensure she at least has the essentials. That is where my thriftiness comes in handy and saves a ton of money! My neighbor was throwing this kitchen table and chairs out and I couldn’t get it in my car fast enough! Look at the detail on these captain chairs! I knew with a little love these babies would shine!! 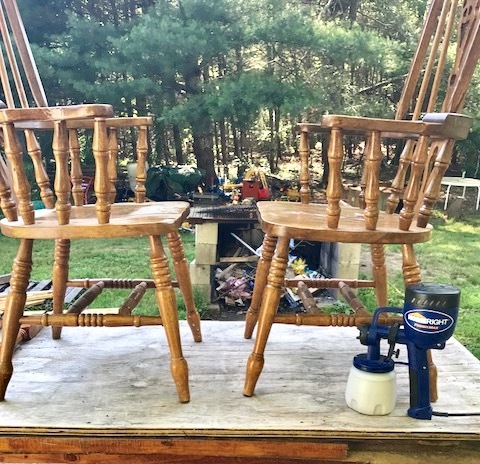 I decided to use the paint sprayer on the chairs, table base and legs and it was done in no time. 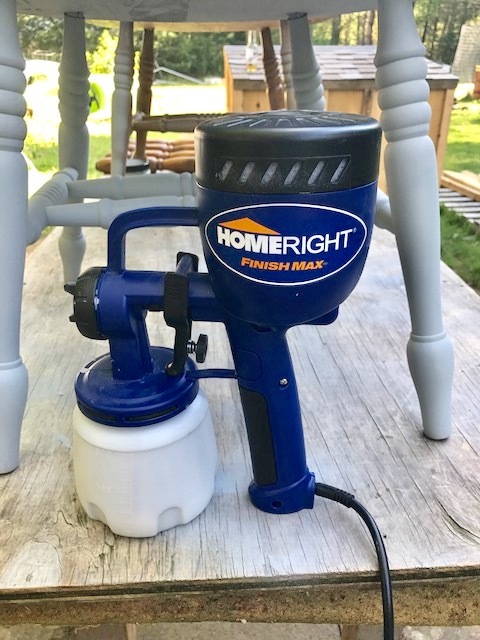 This paint sprayer is seriously one of my favorite DIY tools. 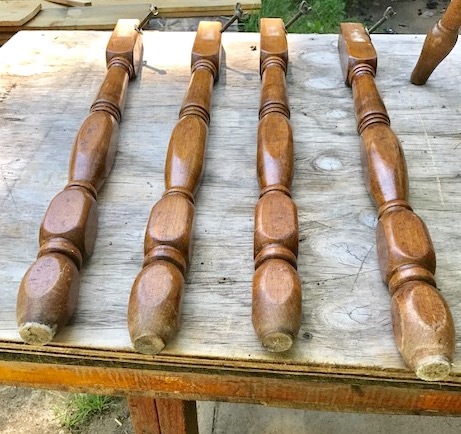 I hate painting spindles and the sprayer makes it so easy. Each piece was given two coats of paint letting it dry in between. For the table I used a foam roller, again giving it two coats. 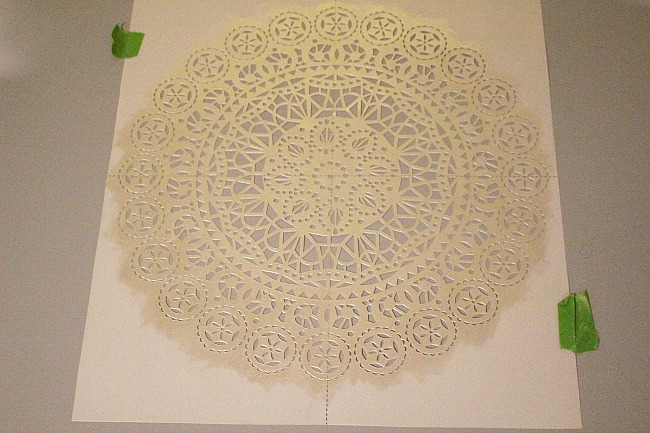 Once it was dry I taped the stencil in the center of the kitchen table and used white chalk paint on the entire piece. 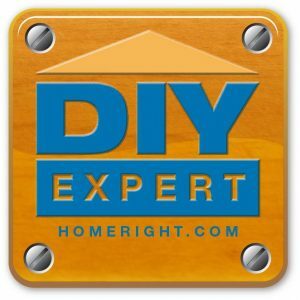 It is so simple using a paint roller. The table and chairs were finished with two coats of clear wax sealer. I’m going to pretend that the kids won’t be using this table to play quarters or whatever other college drinking games are popular now, lol! I will point out they are 21! 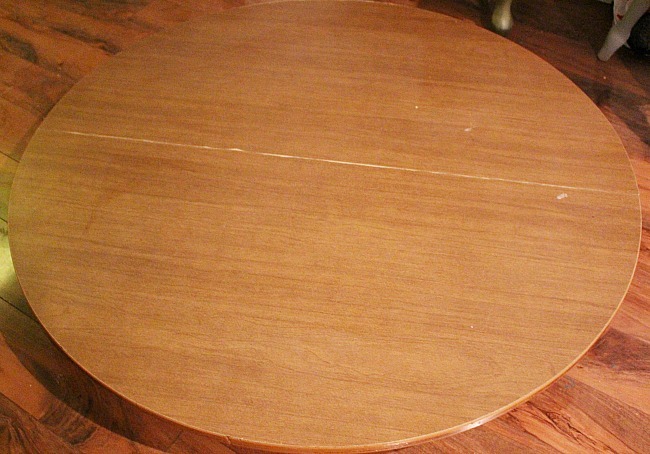 Maybe the reminder that Mom refinished this table for them will minimize any drinking games! Once it is all set up in the apartment, I will post an updated photo. Right now my living room is taken over by apartment furniture! I hope you enjoyed this post and will check out the other projects linked below. I have seen a sneak peek and you will not be disappointed! 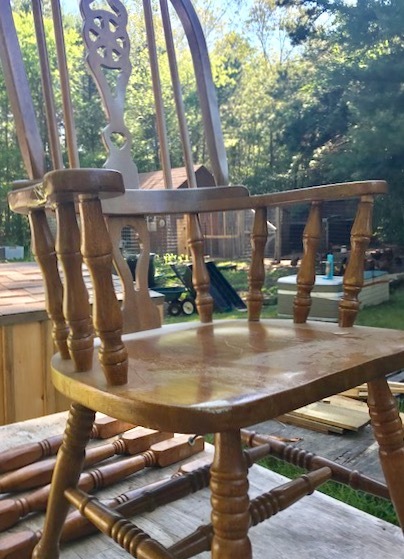 It is amazing what paint can do to revive old furniture. Those captain chairs will hold up for years to come, they have plenty of life still in them. Great find from your neighbor! Love that stencil! That paint looks great! I love their sprayer, it saves SO much time and agony on things like that. The stencil is awesome, they’re going to love it! Your daughter is so lucky to have you helping beautify her apartment. That table update is perfectly coastal now, and I love the stencil you added to the top. They’ll have the prettiest furnished apartment of all their friends. 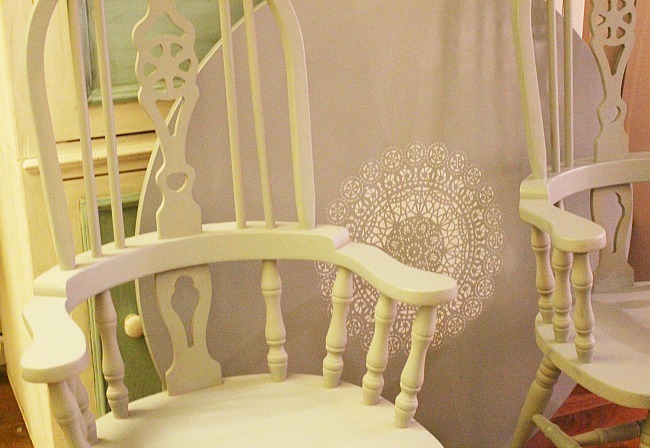 Yes, those chairs are awesome with all that detailed work! Look great in that color too! That turned out so pretty! I so need to get myself one of those paint sprayers haha! oooooo…..I want to look for a table and chairs now. LOVE the transformation!!!! Great chair and table and I’m sure your daughter will love it! 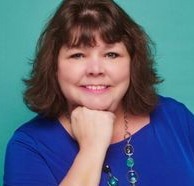 Loving everything about your makeover and I bet your daughter is too! What a great find!! What a great makeover Michelle. I really like the addition of the stencil on the table top. It really makes it youthful and fun for the girls! What an exciting time in your lives, I’ll bet you are all having a ball decorating the new apartment! I would have loved to have a table like this in my first apartment! Great job! Beautiful! We moved my son in to his “new” (and by new I mean old and disgusting) apartment a couple of weeks ago, and I can tell you he and his roommates have NOTHING this pretty in their place! I did have fun helping to decorate his younger sister’s dorm room, however! 🙂 LOVE the stencil, it’s the perfect touch. Love those chairs! I’m on the lookout for some to trade out on my table. Love the stencil in the center too! I know someone who has those very same chairs and wants to get rid of them. I must show them yours and how they can be completely updated with paint. This was a great find. I think I need to come visit her new apartment to see all of these wonderful projects in person! 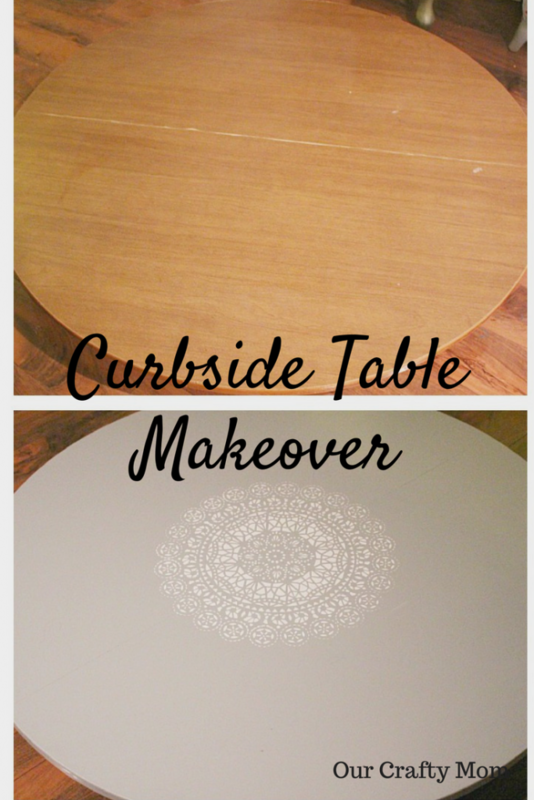 This turned out so pretty with that stencil in the middle of the table. I love it. Also, the chairs are great and the new color looks so much better! Nice job. Turned out amazing Michelle!! 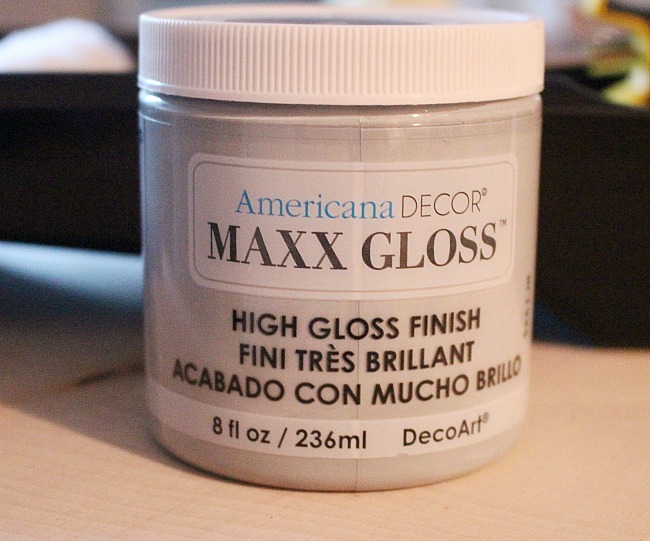 I just got a paint sprayer and I can’t wait to start doing furniture makeovers with it. I’m absolutely loving that stencil. Also, love that the table now has a decoration. No need for anything else on the table. so smart! That really looks like a quality kitchen set. Your paint job brought it up to today’s standards. I love the color. The stencil looks terrific and perks up the table. Your daughter is so fortunate to have a Mom who is so talented. 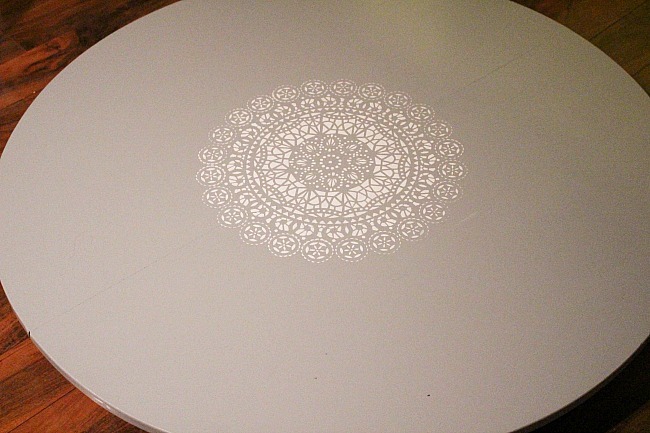 Love this stenciled table. The pattern you picked is perfect. What a beautiful makeover with the stencil its ready for all seasons.